Step out of the city life by going to Shark Valley and Waterskiing & Jetskiing. Shop till you drop at Lincoln Road and Aventura Mall. Venture out of the city with trips to Jacaranda Golf Club (in Plantation), Hollywood Beach (in Hollywood) and Fort Lauderdale (Stranahan House & Fort Lauderdale Beach). Spend the 19th (Mon) airborne with a parasailing or paragliding tour. There's still lots to do: enjoy the sand and surf at South Beach, browse the different shops at Sawgrass Mills, get a taste of the local shopping with Bayside Marketplace, and take a stroll through Ocean Drive. For other places to visit, photos, ratings, and tourist information, use the Miami travel route builder . Riyadh, Saudi Arabia to Miami is an approximately 19-hour flight. You can also do a combination of flight and train. The time zone difference moving from Arabia Standard Time to Eastern Standard Time is minus 8 hours. Traveling from Riyadh in August, expect Miami to be a bit cooler, temps between 38°C and 30°C. Finish your sightseeing early on the 21st (Wed) to allow enough time to drive to Key Largo. Do your shopping at Lobster Trap Art Gallery and Sandal Factory Outlet. Escape the urban bustle at Fishing Charters & Tours and Spiegel Grove. 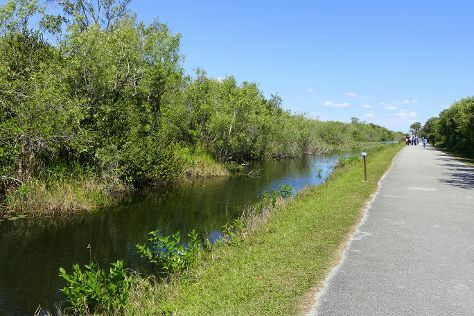 You'll find plenty of places to visit near Key Largo: Islamorada (The Rain Barrel Artisan Village, Islamorada Beer Company Brewery and Tasting Room, & more) and Anhinga Trail (in Everglades National Park). There's lots more to do: get interesting insight from Tours, identify plant and animal life at Florida Keys Wild Bird Rehabilitation Center, admire the majestic nature at John Pennekamp Coral Reef State Park, and stop by Robert Is Here. For traveler tips, photos, reviews, and tourist information, refer to the Key Largo trip itinerary builder site . Drive from Miami to Key Largo in 1.5 hours. Alternatively, you can take a bus. In August, daily temperatures in Key Largo can reach 38°C, while at night they dip to 29°C. Wrap up your sightseeing on the 21st (Wed) to allow time to drive to Key West. Give yourself a bit of retail therapy at Alan S. Maltz Gallery and 7 Artists & Friends. Take a break from the city and head to Key West Butterfly & Nature Conservatory and Dolphin & Whale Watching. Spend the 24th (Sat) exploring nature at Dry Tortugas National Park. There's much more to do: get interesting insight from Tours, take in the waterfront at Mallory Square, cast your line with a fishing tour, and look for gifts at Rodriguez Cigar Factory. To find ratings, maps, other places to visit, and tourist information, read our Key West road trip app . Getting from Key Largo to Key West by car takes about 2.5 hours. Other options: take a bus; or take a bus. In August in Key West, expect temperatures between 38°C during the day and 32°C at night. Finish your sightseeing early on the 26th (Mon) to allow enough time to travel to New York City. Take a break from the city and head to Bronx Zoo and The Pond. Do your shopping at Fifth Avenue and Tiffany & Co.. The adventure continues: take a stroll through Times Square, explore the galleries of The Metropolitan Museum of Art, don't miss a visit to Central Park, and contemplate in the serene atmosphere at Trinity Church. To see where to stay, photos, more things to do, and tourist information, you can read our New York City driving holiday planning tool . You can do a combination of flight and bus from Key West to New York City in 6 hours. Alternatively, you can fly; or drive. Traveling from Key West in August, things will get a bit cooler in New York City: highs are around 34°C and lows about 25°C. Finish your sightseeing early on the 31st (Sat) to allow enough time to drive to Eastham. Eastham is a town in Barnstable County, Massachusetts, United States, Barnstable County being coextensive with Cape Cod. 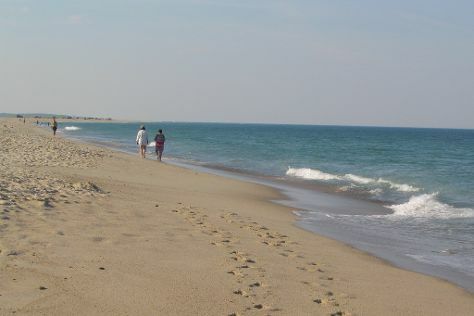 Take a break from the city and head to Cape Cod National Seashore and Nauset Light Beach. Give yourself a bit of retail therapy at Chatham Pier and Fish Market and Addison Art Gallery. And it doesn't end there: enjoy the sand and surf at Nauset Beach, tour the pleasant surroundings at Chatham Lighthouse Beach, steep yourself in history at First Encounter Beach, and trek along Cape Cod Rail Trail. To find other places to visit, reviews, maps, and tourist information, go to the Eastham trip planner . You can drive from New York City to Eastham in 5.5 hours. Alternatively, you can fly; or take a bus. In September, Eastham is slightly colder than New York City - with highs of 26°C and lows of 17°C. Cap off your sightseeing on the 6th (Fri) early enough to travel back home. Head to The Mall at Millenia and Disney Springsfor some retail therapy. Step out of the city life by going to Discovery Cove and Disney's Animal Kingdom. Have a day of magic on the 10th (Tue) at Walt Disney World Resort. Pack the 12th (Thu) with family-friendly diversions at Universal's Islands of Adventure. Next up on the itinerary: find something for the whole family at Universal Orlando Resort. To see ratings, where to stay, traveler tips, and more tourist information, go to the Orlando trip itinerary maker tool . You can do a combination of bus and flight from Eastham to Orlando in 9.5 hours. Alternatively, you can drive; or do a combination of bus and train. Traveling from Eastham in September, expect Orlando to be a bit warmer, temps between 37°C and 27°C. Cap off your sightseeing on the 12th (Thu) early enough to travel back home.